Fighting over estates is never pretty. These court battles are emotional, draining, and sometimes downright nasty for everyone involved. When they happen to the estate of a beloved American icon, it’s even more tragic. Rosa Parks Estate has been embroiled in fighting since not long after she died on October 24, 2005 at the age of 92 in Detroit, Michigan. You can read about the long history of the court battle, which we summarized in this Danielle & Andy article. In short, the Michigan Supreme Court restored the rights of the primary beneficiaries to Rosa Parks’ estate plan, years after the probate court judge ordered that their rights had been forfeited. Finally, it seemed that the fighting had reached its end. Instead, the battle actually turned uglier than before. The attorney representing those beneficiaries who rights were recently restored — Rosa Parks’ friend Elaine Steele and the charitable institute that Rosa Parks had created, which Steele operates — went on the attack again. He took the highly-unusual step of suing the probate judge who oversees the Rosa Parks Estate, Hon. Freddie Burton, and the two lawyers whom the Judge had appointed to administer the Estate, John Chase, Jr. and Melvin Jefferson. Judge Burton dismissed the allegations Steele’s attorney raised and refused to step down from the case. His decision not to disqualify himself was upheld by the chief judge of the Wayne County Probate Court. Steele appealed the decision, and the Court of Appeals dismissed the appeal. Steele will likely appeal again. We regularly write and are interviewed about celebrity estates around the country, but we still maintain our law practice in Michigan. While we have not been involved as attorneys in the Rosa Parks case, we’ve had other cases in front of Judge Burton as well as cases with both Chase and Jefferson. All three of them have been nothing but respectful and highly-ethical in our dealings with them. All enjoyed outstanding reputations in the legal community prior to these allegations. It’s not easy for them to try to restore their reputations after the campaign Steele’s attorney launched against them, which was nothing short of slanderous. It’s tragic that Steele’s attorney chose to use the visibility of the Rosa Parks name and all she stood for to bring national attention to these wild and outlandish accusations. It’s one thing to file lawsuits and allege wrongdoing, it’s a much different story to play on — and stain in the process — Rosa Parks’ reputation in an effort to publicize the allegations. It’s especially true when terms like “corruption”, “cronyism” and “bribery” are used without evidence that any of this occurred, beyond disagreeing with some of the Judge’s decisions (which happens in every lawsuit). In fact, we’ve disagreed with Judge Burton’s rulings at times in this case, specifically his decision to cause Steele and the Institute to forfeit their rights under Rosa Parks’ Estate. But a Judge making decisions that many disagree with, or that may have been wrong under the law, is a far cry from corruption or cronyism. Interestingly, Steele’s lawyer was recently sanctioned by a different Wayne County Probate Court judge in another high-profile estate in Detroit, for making similar accusations without evidence. It is quite likely that the attorney will also be sanctioned in the Rosa Parks Estate. There is a lesson in this sad story for everyone. Fights over estates and trusts of those who pass away are far more common than most people realize. Even modest estates of a hundred thousand dollars or less can spark ugly and bitter feuds. In fact, Rosa Parks’ Estate only had $372,000 in it after she died. While it is certainly unusual for lawyers to lob accusations of corruption against sitting judges, it is not unusual for those involved in estate fights to get carried away by emotion, leading to broken families and anger that never goes away. While it’s impossible to completely prevent an estate fight from happening to your loved ones after you pass away, well-drafted and thorough estate planning is the best way. And if you or a loved one do become embroiled in a fight, it is always better to consider settling early before the fighting turns ugly. No one wins when cases drag on and turn as nasty as the Rosa Parks Estate battle. Not even the lawyers. 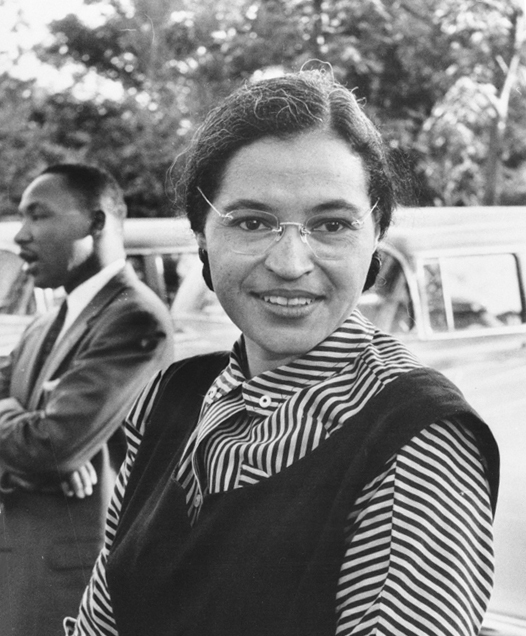 Click here to view all our articles on Rosa Parks.